Three days after a 7.5 magnitude earthquake and 6-meter-high (20 foot) waves crashed onto the Indonesian island of Sulawesi, the provincial capital of Palu, a city of about 350,000 residents, has been left in ruins. 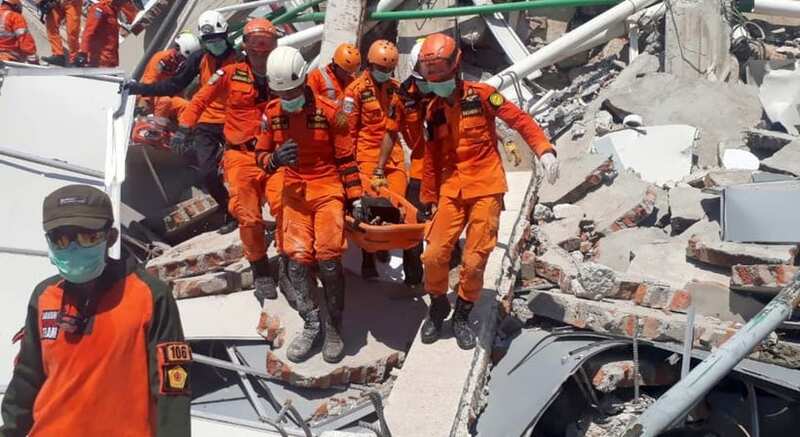 Dead bodies covered by tarps lie in the city’s streets, exposed to Indonesia’s blistering heat, as rescuers search rubble for survivors buried in crumpled buildings. Authorities started burying some of the 914 people confirmed dead in mass graves which are being dug, one of them will house 300 bodies. As a precautionary measure to prevent the spread of disease. But the actual death toll is expected to go into the thousands. Several thousand people are still within harms ways, trapped under rubble or just in venerable conditions and susceptible to aftershocks. A tsunami warning had been issued after the magnitude-7.5 earthquake hit on Friday, but it is unclear whether it was still in place when the waves hit. Priority will be given to evacuating survivors and allowing aid workers to bring in food and fresh water said Indonesian President Joko Widodo, who visited the disaster site on Sunday. An entire city wiped out in a weekend, homes, business and vehicles, perhaps replaceable, but friends, family and communities have all been wiped out along the coast. Washed away by the violent waves. Uprooted trees and pools of water could be seen throughout the area. Roads and bridges were destroyed. The rescue operation is complicated as the severely damaged roads impede deployment of heavy equipment to search for victims under the rubble. The mood and conditions in the devastated city are grim. An entire city is surrounded by death. It is now a fight to survive; hunger, disease, snakes and all kinds of vermin follow such a catastrophe and of course, the aftershocks could last a few more days. Two days after the quake, as they waited for aid, survivors took matters into their own hands and entered shops, wheeling away trolleys filled with food and water. A shocking 10,000 refugees are scattered in 50 points in Palu city. And there could be further increases in the number of victims because not all affected areas had been searched yet. Amidst all the havoc in the city; About 1,200 prisoners that are now on the run after escaping through walls that collapsed during the earthquake. Some walls have collapsed and the prisoners got out past guards, while others broke down the main doors. According to the Ministry of Justice official, the detainees were demanding to see their families after the quake and got angry after their request was turned down. The military is tasked with the manhunt. The military has taken over the airport to fly aid in and injured people and other evacuees out. In total, 2.4 million people in Palu and Donggala will need humanitarian aid.